Kona Brewing Co was formed in 1994 by a father and son team in Hawaii. 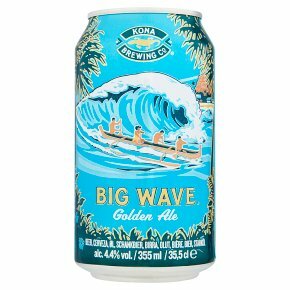 Big Wave is a light-bodied golden ale that's dry hopped to create rounded tropical flavours. The combination of ripe fruit character with a dry, refreshing finish makes this a wonderful match with full-flavoured salads or seafood.